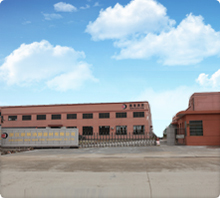 New Ban Fire was established in 2006 as a manufacturer of fire extinguishers, valves and accessories, it is wholly owned by Banqiao Fire which listed in CFPA. New Ban is specialized in the supply of Fire Protection and Safety Equipment, the fire extinguishers are CE0036 approved, the manufacturing facilities are certified to meet ISO9001: 2008 by German TUV. New Ban has complete range of dry powder (ABC), carbon dioxide (CO2), air foam and air water fire extinguisher. New Ban Fire is well known for supplying a comprehensive range of high quality fire safety accessories to the world fire industry and is renowned for its flexibility facilitated by its own design department and tool room.